What is supporting information for scientific articles? When you submit a manuscript to a journal for publication, sometimes it is necessary to include a separate supporting information (often called supplementary information) file. The definition of supporting information for scientific publications is typically experimental details or additional data that either cannot be included in the main article due to length constraints or is “supplementary” to the necessary information presented in the main paper. It can also be defined as additional details or data that the author thinks could be relevant to the reader but are not essential to include in the main paper. Supporting information may be needed if all the experimental details cannot be included in the main manuscript or if you want to include extra peripheral data that could be useful to the reader of your article. What should you include in a supporting information file? Supporting information files often describe the details of your experimental or computational methods or include supplementary graphs, figures, diagrams, spectra, tabulated data, X-ray crystallography structures, 3D molecular models, audio/ video clips and other associated files. Why include supporting information with your article? Supporting information can be an important component of your publication to validate the results and improve the impact of your study. Although it is typically optional, the supporting information should not be undervalued. Unfortunately, it is often treated as an afterthought by many researchers because they think other researchers will never look at it. However, this is not true. Often, other scientists want to replicate the study or know more details about your study for their own work; but, the relevant information is not available in the literature. So, any data or details about your study that you think would be additionally useful to your readers should be included in the supporting information file. What are the typical guidelines for supporting information files? All journals provide particular guidelines for the preparation of the main manuscript and the supporting information. Some journals limit the number of pages of the main manuscript in their author instructions (e.g., Organic Letters requires a maximum of 4 pages for the main manuscript); however, typically there is no page limit for the supporting information. Of note, you should not make the supporting information too long, and the file should not be too large to download. Some journals require experimental procedures be incorporated into the main article, whereas graphs, diagrams, long tables and other extra materials should be included in a separate file as supporting information. So, how do you determine if you need to include supporting information with your manuscript? We suggest that you look at your manuscript draft and compare it with the author instructions provided by the journal of your choice (where you will submit the manuscript). If your manuscript is too long or has too many tables and/or figures, decide which information could instead be included as supporting information and make a supporting information file (typically a .doc or .pdf file). See below for 11 guidelines for preparing your supporting information. 1. Include the title of your manuscript, the authors, their affiliations, and email address(es) of the corresponding author(s). Include this information it appears on the title page of the main manuscript on the first page of your supporting information. 2. If you have multiple sections in your supporting information file, a table of contents can be indispensable to make it easier for readers to access the different sections of the file. 3. All files should be prepared as a single file rather than a series of files containing individual figures or tables. 4. The pages should typically be numbered as S1, S2, S3, etc. However, check the guidelines of your particular journal. 5. If several files must be submitted, the title and author names should be included in each file. 6. 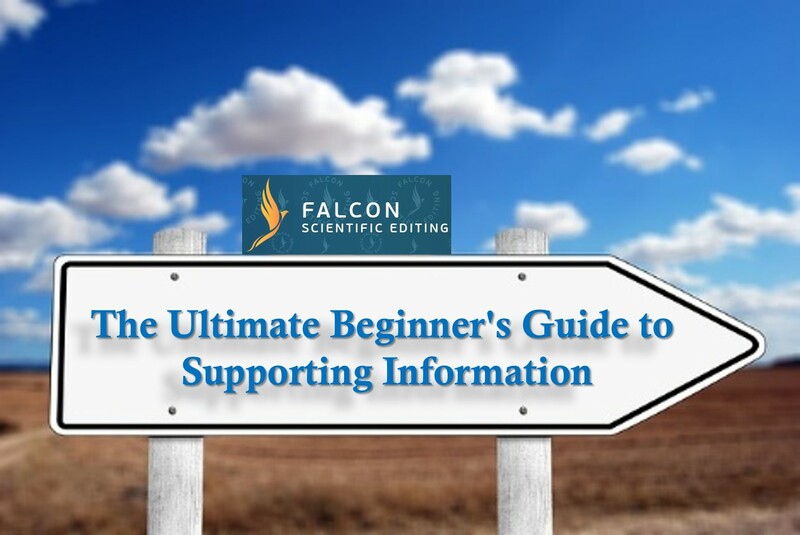 If you include an introduction section to your supporting information file, it may include the general procedures, standard techniques, and instruments used in your study. 7. The experimental procedure for each reaction step or method should be explained in detail, and compound names, structures, and numbering should be consistent with how they are labeled in the main manuscript. 8. Figures, graphs, tables, and diagrams should be of standard quality and resolution as required by your journal of choice and include proper captions, titles and/or footnotes. 9. Any text you include should be in the same format and font size as that in the manuscript. 10. Data must be original, and if it was previously provided in the literature, proper references and permissions should be provided. Similarly for extra experimental details, for known compounds/reagents, appropriate references should be cited. If purchased from commercial sources, the names of companies must be provided. If the study involves the use of toxic or dangerous chemicals/reagents, mention the warnings and precautions for handling and storage. If the study involves experiments on animal models, all the necessary information, examination procedures and ethical issues, if any, must be provided in detail just as would be done in the main manuscript. 11. Maintain consistency throughout the document. The supporting information contents should be presented in simple and comprehensible language to make it understandable to international readers. Supporting information is typically also peer-reviewed by the expert reviewers for accuracy and completeness. In addition, it is not edited by the editorial staff of the journal; therefore, it must be provided in the final format. It is typically linked with the main manuscript using CrossMark if your publisher participates in this service. Here is a list of typically accepted file formats. However, please check with your particular journal for specific details. NMR, IR, Raman, and ESR data should typically be supplied in standard JCAMP-DX format (jdx files). Your supporting information file (data, experimental methods, etc.) should be easy to read and easy to download. It typically includes extra details that either cannot be included in the main manuscript or would be too long to include there. Sometimes journals provide instructions regarding the file size and overall length. Supporting information files should be always prepared as per the author instructions provided by the journal. In addition, it is typically necessary to include a description of the supporting information and its contents in the main manuscript. This is often included under the heading “Supporting Information” or “Supplementary Information”. Do you think supporting information is important for scientists? Do you follow a different definition of supporting details for your journal article? We are interested in hearing your thoughts! Message us or complete our Blog Feedback Survey for 10% off your next order! Any questions about your paper and your supporting information file? Need your supplementary text edited or your graphs/tables formatted? Abdul Rouf is a Postdoctoral Research Associate at the University of Florida in the U.S. Previously, he also worked in Brazil and Turkey as a Postdoctoral Research Associate. 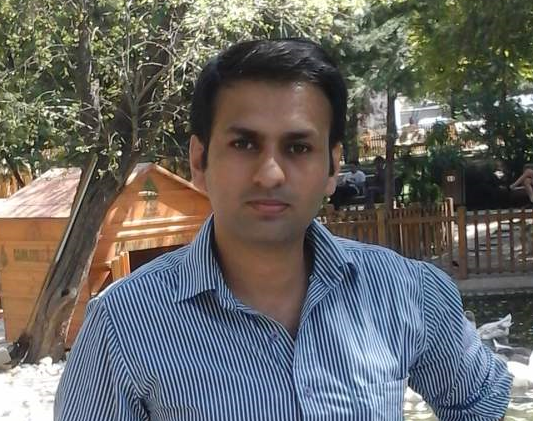 In 2013, he completed his Ph.D. from the CSIR-Indian Institute of Integrative Medicine in Jammu, India. His expertise is organic chemistry, and his current interests include the chemical synthesis of pheromones and hormones. Additionally, he is actively involved in writing, editing, and reviewing research articles for different journals, such as the International Journal of Chemistry. His publication list is available on Google Scholar.